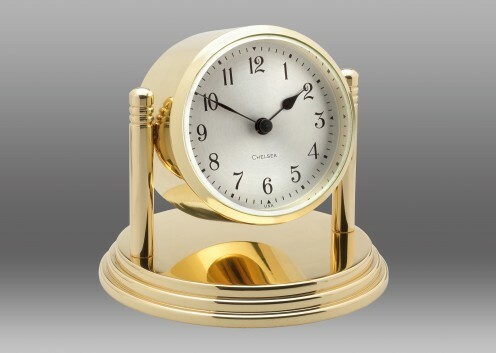 The Dartmouth’s lustrous brass finish, strong, clean lines and sophisticated styling make this handsome timepiece a truly timeless and welcome addition to any room. The piece’s solid brass case and base are individually hand buffed, polished and lacquered to a flawless tarnish-resistant finish. 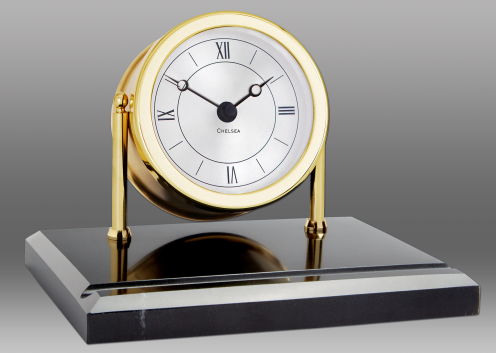 The 2.75” dial is meticulously hand silvered and features period European hands and beveled glass. 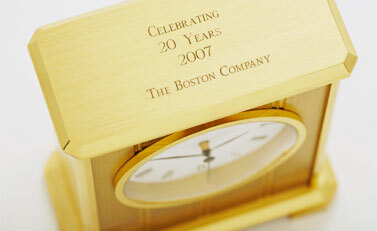 This precision German quartz clock features a swivel-style case set atop a three-tiered, felt-lined base.